For high-value transactions such as real estate, it is vital to ensure the integrity and accuracy of the records in order to prove the rightful owner of the said property. These records are used to protect the rights of the asset owner in the event of theft, frauds or dispute. In fact, some of the biggest legal cases due to frauds or dispute revolves around real estate. Other problems include the time required for the actual transfer to happen (months usually) and the integrity of the escrows being used in the process even though the escrow is meant to provide protection for the buyer and seller in the exchange. Utilizing one of the applications of the blockchain technology called “smart contracts”, transfer of the property rights can be done swiftly when the terms between all involved parties have been agreed. The technology will also be able to provide traditional property registries with an easier and faster way of managing their records. Despite the potential profits of the real estate market, buyers face numerous problems and limitations. Well, Here it come Instant Assets Tokens. The IA Tokens concept aims to revolutionize the real estate industry using Blockchain technology through the development of the IAT Platform. Funds raised from this ICO will be used to develop the IAT blockchain and the asset management will be undertaken by our existing management company that is currently operational. The Platform will cater to the Philippines market first and we look to expand into other developing markets in Asia. Cutting out inflated costs by parties such as developers, taxes, brokers, and agents. The total cost of buying and selling a property in the Philippines is at times inflated to as high as 24% of the property value. We are looking to cut that total costs down by at least half. The decentralized nature of the Blockchain technology ensures that records stored on it cannot be changed or controlled by a single source, thus providing security against malicious attacks such as hacking. Information stored on the blockchain is accessible by all which makes the data transparent and immutable. The possibility of frauds and ownership dispute can be almost eliminated with the high degree of transparency. The current process of ownership transfer can take months due to the various parties involved and the need to verify the documentation during various stages, usually with the assistance of a lawyer. The blockchain technology will be able to address the above by maintaining a uniform source of information for all the parties that are involved in the transaction. Also, emerging platforms focusing on other functions such as payments can be integrated in future. The project will also be providing a platform for listings. Currently, the Swedish government has already launched a blockchain based program to manage land and real estate titles ownership. Using smart contracts, the program success is projected to save the government approximately €100 million per annum. 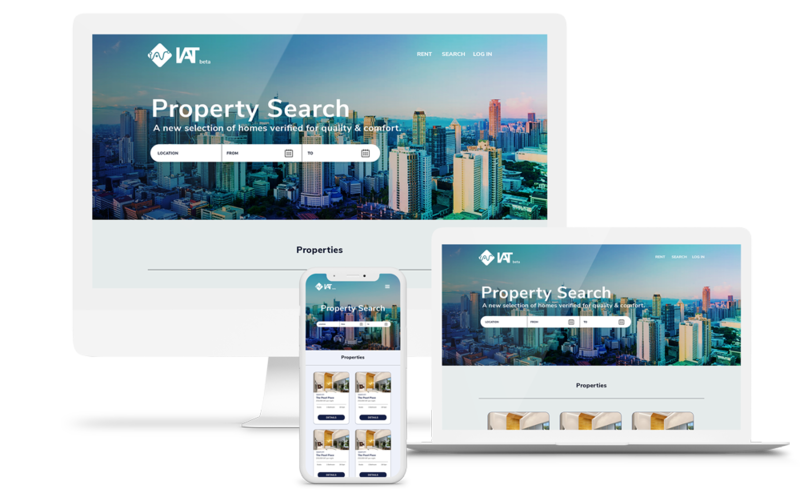 To break the real estate traditional channels, IAT will develop its own web portal to cater individual owners, agents/brokers, clients and all the IA Token holders. The portal will feature various functionalities and wide range of services. The IAT ecosystem encourages the use of NIAT for these benefits. We want to create an ecosystem where token holders freely trade and interact with other token holders and as well as investors who are looking to acquire IA Tokens for their portfolio. As such, the company commits to acquire listing with various exchanges so as to facilitate the trading and liquidity of the tokens. 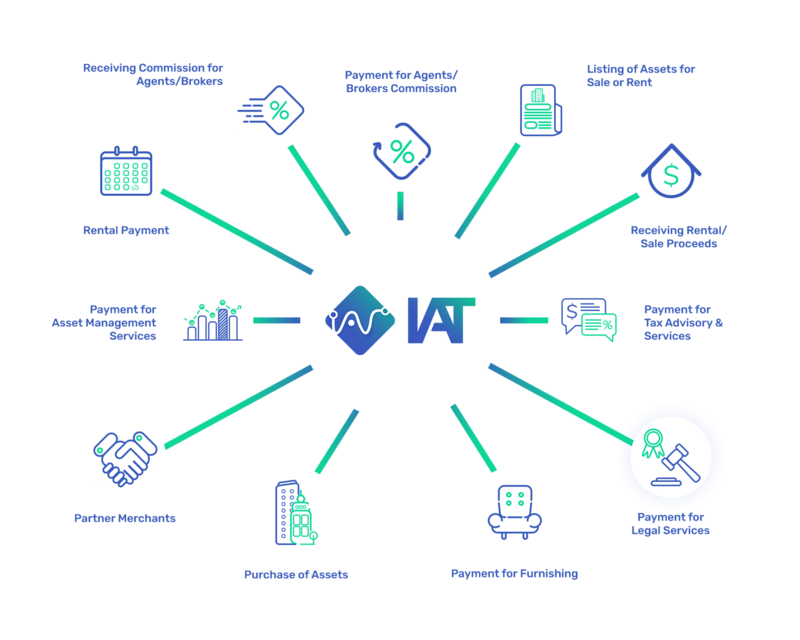 The IAT blockchain is specifically designed to provide a platform for cross-border and local transactions at a reduced cost. It will be connected to multiple NIAT blockchains with each individual NIAT blockchain catering to its own locality. In this case, the IA Tokens are subjected to market volatility since it will be considered as a cryptocurrency. Holders of their respective local NIAT will be able to send it to another user as long as the intended recipient has a wallet or account residing on the same local NIAT blockchain. This feature reduces the possibility of exchange losses since cryptocurrency is deemed to be much more volatile than the local fiat currency. A key factor of any successful business model is its degree and ease of scalability. By adopting a two (2) tokens system, the platform will be highly scalable since each respective country would have their own NIAT blockchain where the local NIAT will be pegged against the local fiat currency. In other words, only a new NIAT blockchain needs to be developed and integrated into the existing IAT ecosystem when we need to expand the platform to cater to a different market. The IAT ecosystem will allow end users to interchange between different local NIAT blockchain or back to IAT with ease by maintaining a liquidity pool. We believe that this will encourage the use of NIAT within the IAT ecosystem as well as improve the user experience for both the merchants and consumers. NIAT resides on a local blockchain so there will be minimal or no costs at all when interchanging between IAT and NIAT, and since the liquidity pool is not meant to function as a centralized exchange it will not be charging the end users any “trading fees”. IAT will be issued via a Token sale with a total supply of 4,500,000,000 IA Tokens. The price of the IA Tokens will be pegged to US$0.01 per token, ETH and BTC will be accepted. 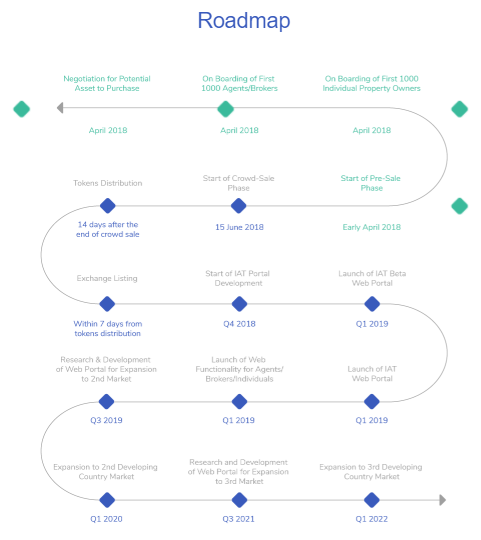 Value of tokens for sale will be US$20 million (inclusive of Early Investors, Pre-sale and Crowd-sale) with distribution according to the table below. Unsold IA Tokens (cap at 40,000,000 IA Tokens) will be given to charity organizations and remaining IA Tokens will be burned. Pre-Sale will commence in early April with the crowd sale subsequently commencing in 15 June 2018.